Cups made of silicone provide a strong, effective medium for deep tissue massage. These cups are translucent for easy observation, pliable and watertight, and are easy to use. 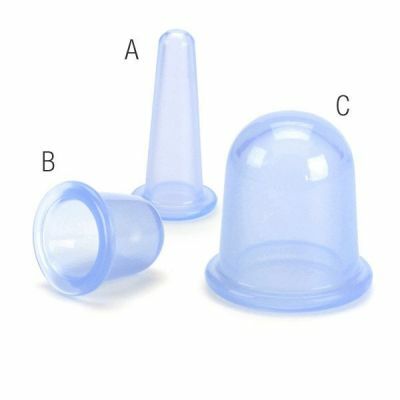 The elongated and standard-sized cups are designed especially for use on the face, but (along with the large cup) may be used anywhere on the body. Available in a translucent blue color, these cups come in pairs of 2. Choose from elongated cups (3"x1.4"dia), standard cups (2.5"x2.1"dia), and large cups(3.1"x2.7"dia).